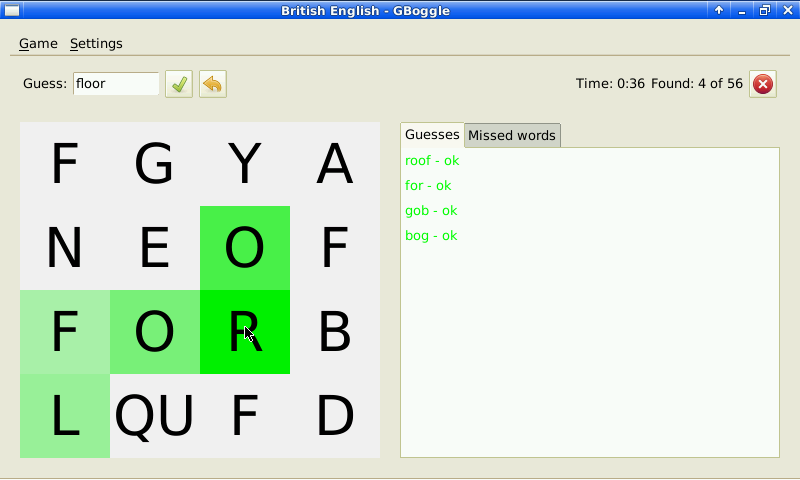 GBoggle 1.1.4 is an open source implementation of the classic Boggle word game. This is a quick port of the game GBoggle. No changes to source. This is the same game released for the Maemo platform.